Join us for Valerie Green/Dance Entropy’s dance performance Utopia. What does Utopia, mean to you? 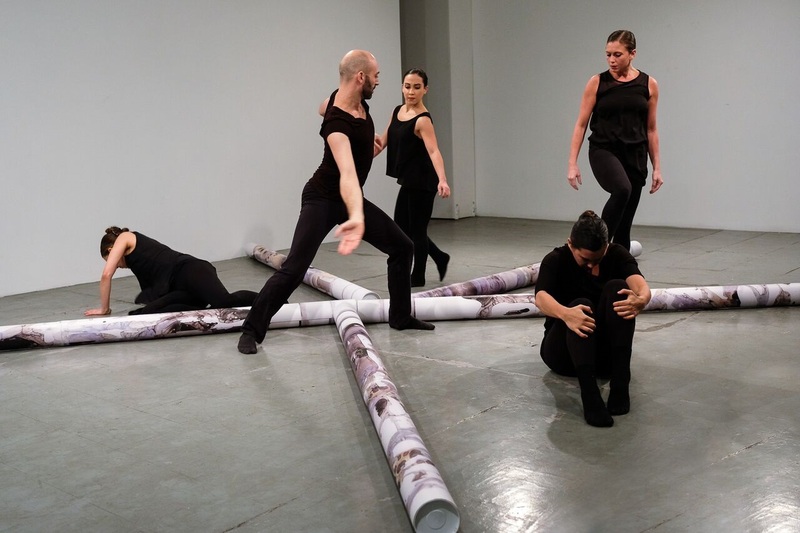 Valerie Green/Dance Entropy—in collaboration with Keren Anavy and an original sound score by Mark Katsaounis—explores the idea of the perfect place through the mediums of dance and visual art. The new work questions whether Utopia might be an internal place, investigated through personal and intimate moments and alongside the community. The notion of what it means to be safe persists inside an environment that is continually built and deconstructed. The 60 minutes performance will be followed by a Q&A, moderated by creative director and choreographer Valerie Green. Dance Entropy is a professional modern dance company founded in 1998 that performs in NYC, tours and teaches both domestically and abroad. Dance Entropy supports the vision of Artistic Director Valerie Green, who creates stage and site-specific work. A significant part of the company’s mission is to use creation, performance, and education in locations and communities where the content of the work will have the greatest impact. Dance Entropy abstracts the potential chaos of the body and creates order through expressive movement, reflecting the world in which we live. The word “entropy” refers to the tendency towards disorder in a social system and chaos in motion. Ms. Green created the company’s home studio, Green Space, in Long Island City Queens in 2005. Green Space serves the dance community by providing an affordable and welcoming environment for rehearsals, classes, and performances. Keren Anavy is a visual and installation artist, art educator, and art writer currently based in New York. Anavy explores in her work the dynamic relationship between nature, culture and site, by challenging the boundaries of painting and drawing as a form of installation. Her works often contain imagery and subject matter that are disconnected from their previous meaning and context, and as a result, transformed into a visual, abstracted experience. She works with images and designs that reference political and social notions, from which she creates new imagery that addresses distress and beauty. Her artistic background has always evolved around nature and organic forms. She looks at nature through a historical and social lens, nature for her is a powerful tool through which she examine broader social contexts. Anavy is 2018 AIRIE Fellow, Everglades National Park, Florida. She has exhibited widely national and international, her next solo exhibition will be displayed at The Sunroom Project-Space, Wave Hill, Bronx (Oct, 2018).